Cold Calling Make You Cringe? What brings grown men and women to their knees, often making them cry, cringe and gnash their teeth about sales? Cold calling, my friends... You may know it by a nicer name – prospecting, screening, dialing for dollars, building a pipeline, hot knocking, profiling, warm calling, business development, inside sales or lead generation – but, strip away the hype and it is All.Just.Cold.Calling. You’re contacting someone or a company by phone who should be interested in your product or service to bring them into the light of your product’s awesomeness. And bring more cash into your pocket. So let’s make the process easier and more cash full for you. Here are my top tips to make fewer cold calls and take home more money for your efforts. By the way, there is still effort to this (hey, I can’t do it for you!) but if you follow the tips, they will pay off handsomely for you. Remember when you tried to convince your parents to let you stay out all night because “everybody is doing it?” In sales, you need to zig when everyone else is zagging. Don’t follow the crowd and sit on the phones making calls to CxO level people between 9 and 5 on a weekday. They’re in meetings. You’re wasting time. Call CxO level executives before 8 am and after 6 pm on weekdays or possibly Saturday mornings between 8 and 10 am. Why? They’re in the office trying to get caught up before the round of meetings start up for the day and will typically pick up the phone when it rings. Result: you get past the gatekeeper and score a quick call with the CxO directly. Not a bad investment of your time! So maybe you don’t think networking is really a “thing” or it isn’t your thing. Tough. Get set up on LinkedIn, Facebook (professionally, not personally), Twitter (again, for business), Pinterest, Google+ and others as they come into play. You can find your prospects on these networks, find common ground (maybe it’s CrossFit, a paleo diet, triathlons or line dancing) and use these interests to establish rapport. It isn’t cheating, it’s the way business is being conducted these days and you will be left on the sidelines if you don’t get involved. Did you know that, scientifically, the most pleasant sound to a person is their own name? Even if you dislike your name, experts have proven that people respond more positively when someone says their name (or preferred nickname) because it acknowledges them as a person, makes them human rather than just an impersonal voice on the phone. So, when you speak with a receptionist, clerk, secretary or administrative assistant, casually ask their name and jot it down. It doesn’t matter much on that first call, but when it’s the fifth call and you’re now recognizing this person’s voice, using their name scores big in the thoughtful category (potentially advocating for the executive to call you back) and pulls you out of the “just like all the others” ignore heap. Always call with a purpose and make your message as brief as possible, 60 seconds or less. Get to the point quickly and move on. Executives are busy people and don’t have time for two minutes of sales patter before you get down to business. Make your message short, get your benefit/advantage from their perspective in there early, ask your open-ended question and then LISTEN. Let them take it from there with their response or question back to you. Even the most productive grapevines in a vineyard have some twigs and branches that don’t contribute to the end product. Take a close look at your customer base and do some analytics based on recent transactions. Which ones are causing you (a) the most headaches, (b) haven’t bought in the past 18 months (you decide the timeframe of course) or (c) take an inordinate amount of your time babysitting? If some of these characteristics intersect, perhaps it’s time to cut these time-wasters loose so you can focus on those that bring in revenue to your company and to you. These folks may be happier finding a company that fits them better and you are definitely better off not futilely chasing them for business that will never appear. While you’re doing those analytics to find the deadwood, review your customer base with another sort to determine what companies are among the 20 percent are doing the most business with you and which make up the 80 percent that are just hanging on. In terms of existing customers, always spend the majority of that time with the top 20 percent that actually order and pay. Then work with your new prospects to bring them into that 20 percent. Sorry, Rome wasn’t built in a day and there are no overnight successes, even in sales. The biggest reason that a sales person doesn’t make a sale is that they were not persistent enough with their best prospects. Many sales professionals make one call and, if they don’t strike it right away, never make another call or approach. A Culpepper and Associates compensation study on the sales industry revealed that 81 percent of all sales take five or more calls. Expect from the beginning that it will take you several calls over a period of time – days, weeks or even months – to get the attention of the right person at the company at the right time. Sometimes it just takes calling at the time their need becomes urgent. If you have planted the right seeds and invested the time in calling (plus working tips 1, 2 and 3), you will be who they call because you have made yourself top of mind for that product or service. Unfortunately, there’s really no way around making those chilly (OK, cold) phone calls to identify the right people and begin a relationship with them. Some version of prospect calling is always going to be a part of the sales process. 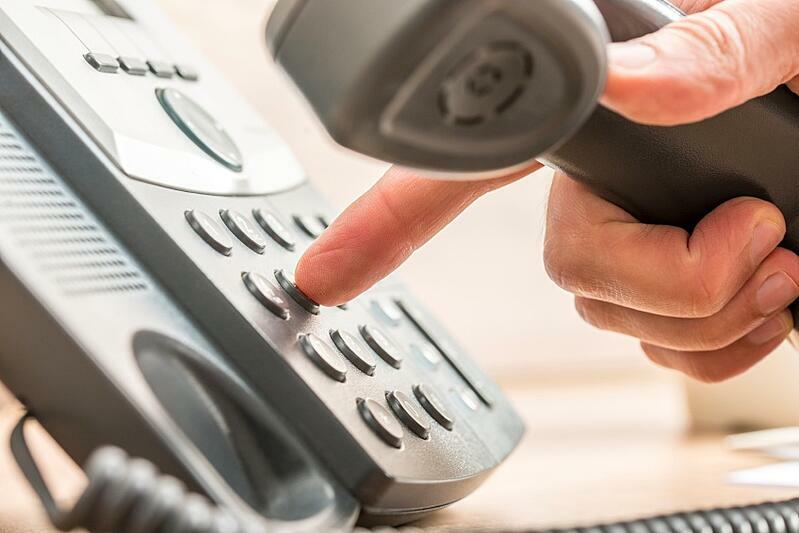 However, using these tips will help you warm up the initial contact and streamline your cold calling process so that you make fewer calls, by using social media and online resources to be more connected from the first phone call. 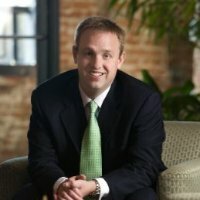 Mike Krause is an sales professional, author, consultant and strategist. His latest book, SMART Prospecting That Works Every Time! Win More Clients with Fewer Cold Calls (McGraw Hill) is available through Amazon.com. Mike Krause is the president and founder of Sales Sense Solutions, Inc. where he delivers measurable results with his clients using Fortune 500 strategies, tactics, and tools. The company’s mission is to customize Fortune 500 sales experience and success systems for small and mid-sized companies. Krause is an in-demand speaker and has received numerous awards for his acclaimed training programs. See what xoombi can do for you! Fill out the form to explore ways we can help.